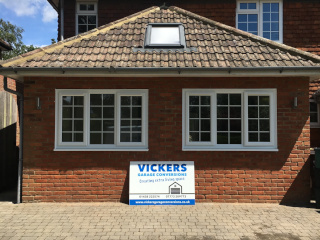 Vickers Garage Conversions specialise in converting garages into habitable living spaces. We are well established and reliable, having been in business for over 10 years. Based in Stevenage, we are able to undertake work throughout Hertfordshire and the surrounding areas. We can convert any type of garage, from singles to doubles, tandems, integral and detached garages. A garage can be converted into a wide variety of different types of room. The possibilities are almost unlimited; we have previously converted garages into kitchens, bathrooms, acoustic music rooms, playrooms, offices, bedrooms and gyms. 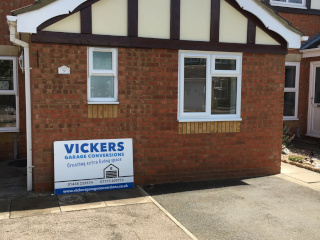 Vickers Garage Conversions can convert your garage from a cold and under-used space into a warm and habitable room that will improve your lifestyle and add value to your property. An initial appointment is made to view your property and find out your requirements, which is completely free of charge. We will then send you a free no-obligation quote. If you are satisfied with the quote, we draw up a contract including a detailed description of the job. We take an initial deposit, followed by an interim payment half-way through the job. The final balance is to be paid upon completion. After the contract is signed and the initial deposit is paid, our architect will produce an outline drawing of the job which is sent to building control. We will liaise with you to find a suitable date to commence the work. Our work will be inspected by a building control officer. All electric work will be Part P certificated. 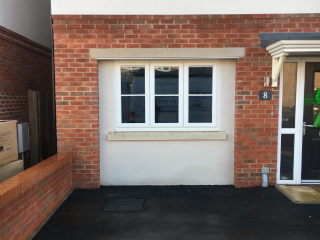 Once we have completed your garage conversion up to finished plaster we can provide extras such as painting and flooring, which are popular choices for many customers. Most garage conversions take 2 – 4 weeks to complete, depending on specification.